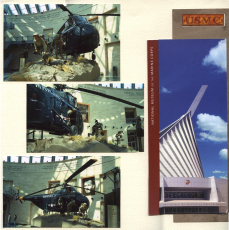 My Marines Scrapbook Layouts show the photos of the National Museum of the Marine Corps at Quantico, Va. 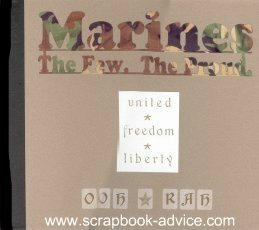 These Marines Scrapbook Pages will give you some ideas about the colors and paper types that you can use, plus an assortment of embellishments that are available. 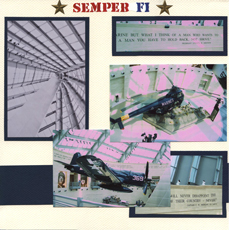 Plus, if you have not had a chance to see the Museum, it will give you an idea of how impressive the museum is and if you ever get to the Washington, DC area, make a special trip to check it out. It is very easy to find. 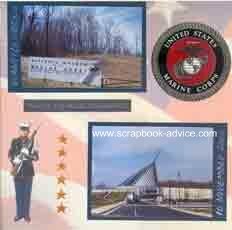 As you approach Quantico, VA on the interstate the spire that is built on the same angle as the famous photo of the flag raising at Iwo Jima, towers above the trees and can be seen for miles. I knew instantly what it was, even before it was finished, and made a special trip back to the area just to visit the museum. 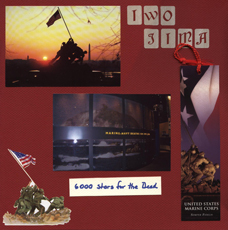 The Cover page Marines Scrapbook Layout above focuses on the magnificent spire, which is steel and glass. 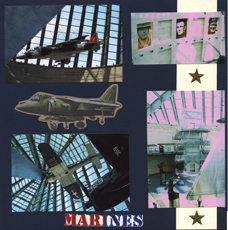 The embellishment of the Marine Corps Eagle, Globe and Anchor was purchased at the Museum as were a number of the other items used through the album. 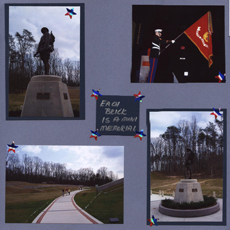 These first two Marines Scrapbook Layout pages in the album show the approach to the museum, the flags, the statuary in the front, and a memorial brick walk that curves around the outside of the museum. 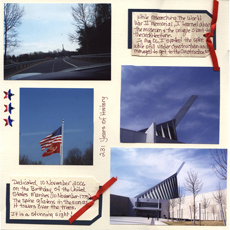 My journaling writes about the dedication of the museum and how & when I learned about it and went to see the site while it was still in the early stages of construction. 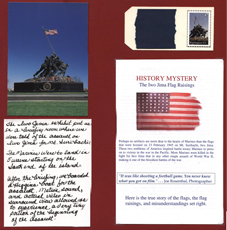 I used tags for the journaling with red ribbon and a few stickers of red, white, and blue stars as corners for the photos and a journaling block. 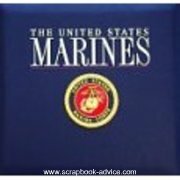 Red, White & Blue items always make for great Military Scrapbook Supplies if you can't find exactly what you are looking for. 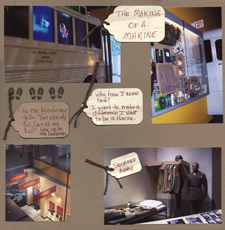 There is a section of the Museum that depicts the "Making of a Marine" and shows the events from getting off the bus at one of the training bases, to the gear that issued and how it is stored. Following through on that are examples of the drill instructor firing orders, marine recruits repelling, marksmanship practice, and finally on to graduation. On to the Leatherneck Gallery with various battles depicted in absolutely amazing detail, including spent shells scattered on the sand. 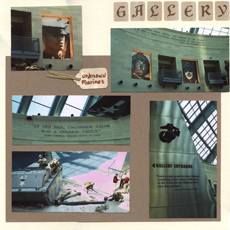 Above the gallery are photos of marines and quotes that honor the contributions of every Marine. 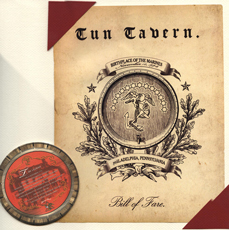 Marines Scrapbook Layouts of Tun Tavern, birth place of the Marines, founded 10 November 1775. 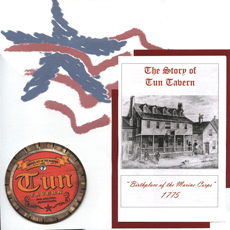 The drink coasters used at the Tavern tell the story of the birth of the Marines. The food is pretty good being from the period and the servers are wearing period costumes. More aircraft in the Leatherneck Gallery and the museum brochure showing the spire and front entrance. 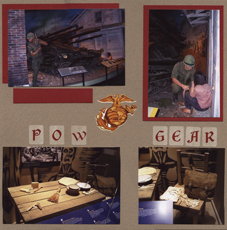 As you travel around the perimeter of the museum, each individual gallery depicts an area of service for the Marines. 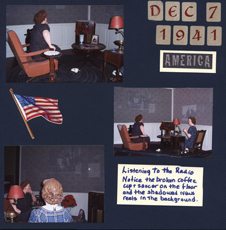 This Marines Scrapbook Layout represents the United States entering World War II, and depicts President Roosevelt's speech after the attack on Pearl Harbor, Hawaii on December 7, 1941. 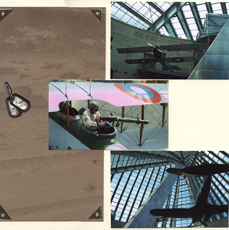 The right hand layout depicts some aircraft used in World War II and Ground to Air communication. 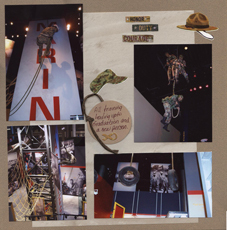 These Marines Scrapbook Pages above represent the battle at Iwo Jima. 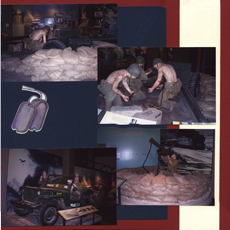 Prior to entering this gallery, visitors are treated to a briefing as if we were preparing for the assault to take Mt. 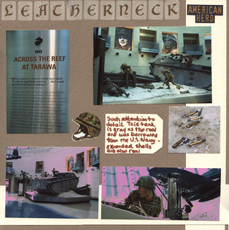 Suribachi on Iwo Jima. Then we boarded a Higgins boat with the motion of the waves, actual sounds recorded during the assault and surround view of actual video that allowed us to experience a very tiny portion of what it must have been like at the approach of the island at the beginning of assault. 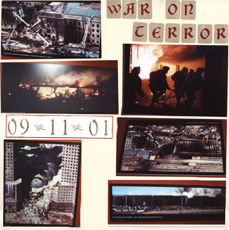 This certainly made for some great Military Scrapbook Layouts. 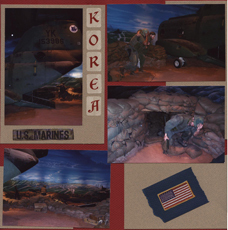 The next gallery, depicts scenes from the "Forgotten War", the Korean War. 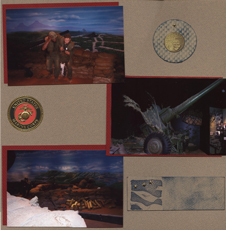 Another interactive experience in this gallery and the exhibit depicts night time, cold air, and voices of Chinese soldiers advancing in the distance. 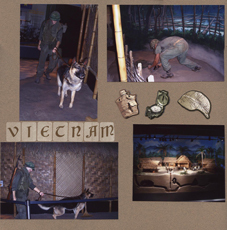 Vietnam is depicted in the next gallery, complete with examples of crude weapons, underground tunneling and a POW camp showing the very limited gear and living conditions. 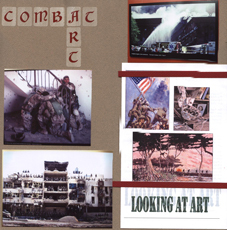 The Combat Art Gallery depicts the official Marine Corps Combat Art Program which originated in 1942. The Combat Camera Units work helps commanders in the field who need real time images to assist with tactical decision making.